Do you have memories of your school lunches? I do. They were good ones too. I think lunch was my favorite time of the day, 2nd was recess. 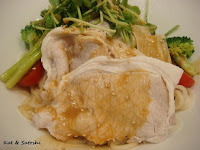 For lunch we'd have main dishes like shoyu chicken, meatloaf, spanish rice. One of my favorites was a side dish, it was a cole slaw but not the creamy type. 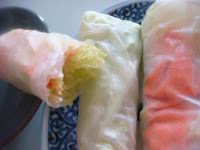 I recently re-created this one for our dinner the other night and it was amazingly really easy. adapted from "Hilo High School 100th Anniversary Cookbook"
Using your food processor*, whizz the cabbage using the "thin slice" blade. Peel your carrot and whizz using the "coarse grate" blade. Rinse cabbage and carrot mix in cold water and drain well. Add salt, massage and let sit for about 5 minutes. In the meantime, mix sugar and vinegar until sugar is melted. After the 5 minutes, using your hands, squeeze out all the water from the cabbage and carrot. Toss with dressing and grind some pepper. 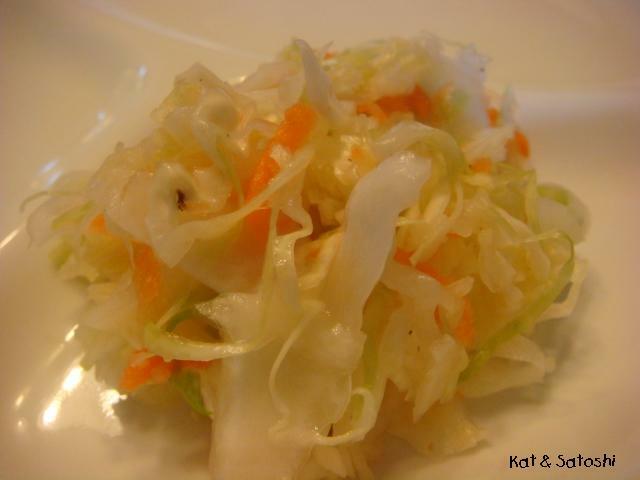 *if you don't have a food processor, thinly slice your cabbage and carrot like you would for cole slaw. NOTES: the flavor was just as I had remembered and the crunch from the cabbage and carrots was so good! I'm definitely making this again. It's the end of the month, hope your June was a good one! My 95-year old grandma recently moved into a care home, don't worry nothing is wrong with her and she is fine. Anyway, by moving, she had to give up a lot of personal items, which included a lot of her cookbooks (which I didn't get to check out, oh well!). One thing that my mom had in her possession was her box of clipped recipes...what a box of treasures! 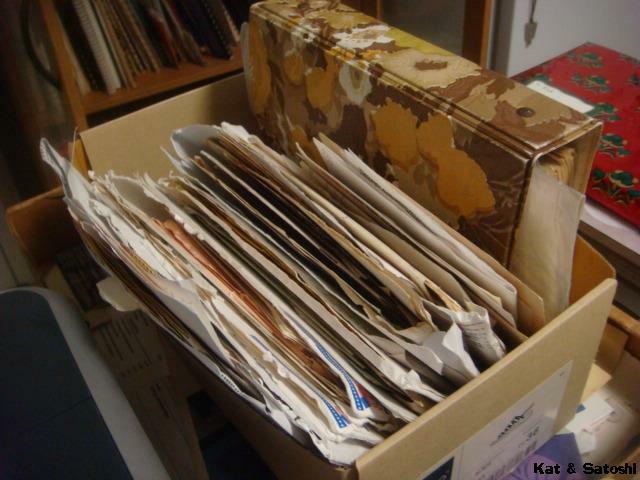 Not only that, but she kept the contents pretty organized too. I took some of the recipes that I thought might be fun to try when I go back into the kitchen in a couple of months. Hope they'll turn out good...Thanks for sharing Grandma! *The following post is in French (with translation at the end), Rowena wanted to see a post like this, so this is for her, especially the food part (which she also requested). 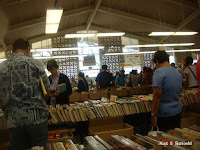 Hier je suis allé aux amis du booksale de bibliothèque. C'était ma première fois à cette vente et également le dernier jour de la vente et de tout était $.50 pièce. 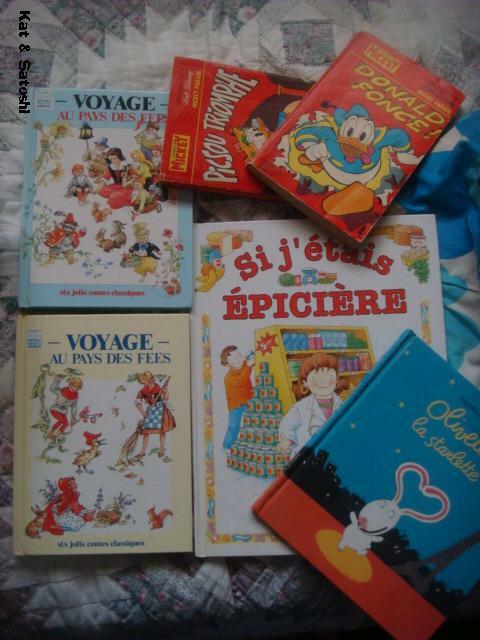 J'ai voulu obtenir quelques livres de cuisine, mais il n'y avait pas plus beaucoup de choix, il y avait un choix gentil des livres d'enfants en français, ainsi j'étais heureux d'obtenir ces derniers. Le temps était bruineux, ainsi pour le déjeuner j'ai marché à Makiki Zippys et ai eu leur grand saimin. Pour ces non familiarisés avec le saimin, le bouillon est plus léger que ramen, non huileux. 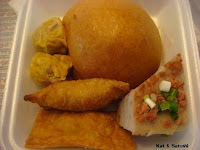 Le char siu et la croquette de poisson légèrement découpés en tranches se sont vraiment ajoutés à la saveur et seulement US$3.61 avec l'impôt. Les nouilles étaient tout à fait fermes que j'ai vraiment appréciées. Il avait été pendant quelque temps depuis que j'avais eu le saimin et ce vraiment coup la tache. J'espère que vous avez apprécié ce Rowena. 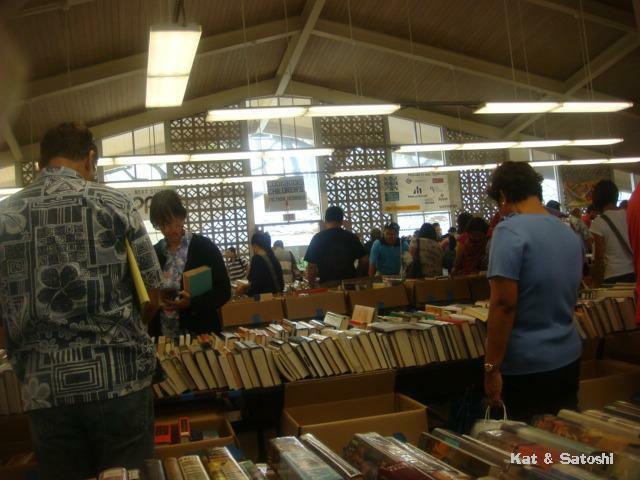 *Translation: Yesterday, I went to the Friends of the Library booksale. It was my first time and also the last day of the sale and everything was $.50 each. 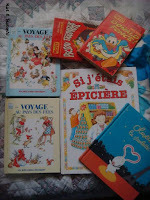 I wanted to get some cookbooks, but there wasn't much selection left, there was a nice selection of childrens books in french, so I was happy to get these. The weather was drizzly, so for lunch I walked to Makiki Zippys and had their large saimin. 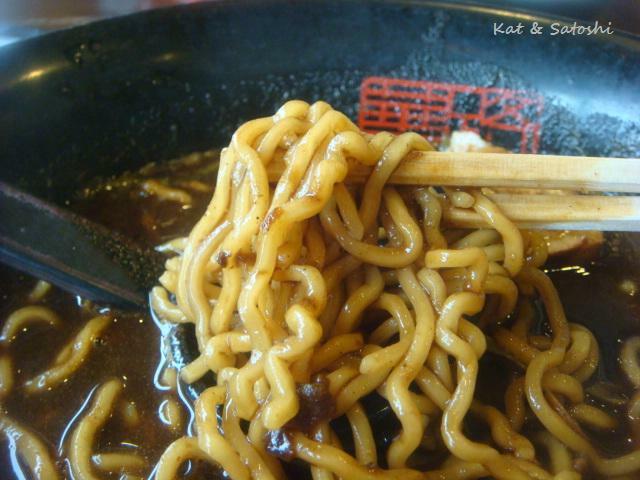 For those not familiar with saimin, the broth is lighter than ramen, not oily. The noodles were quite firm which I really enjoyed. 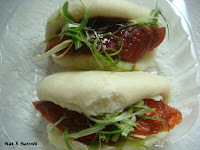 Thinly sliced char siu and fish cake really added to the flavor and only US$3.61 with tax. 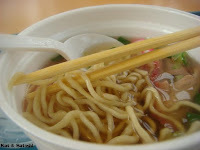 It had been awhile since I had had saimin and this really hit the spot. I hope you enjoyed this Rowena. Hawaii's graduation season is in full force. One of my cousins just graduated so I was lucky to be able to celebrate with her, some of her family and friends. 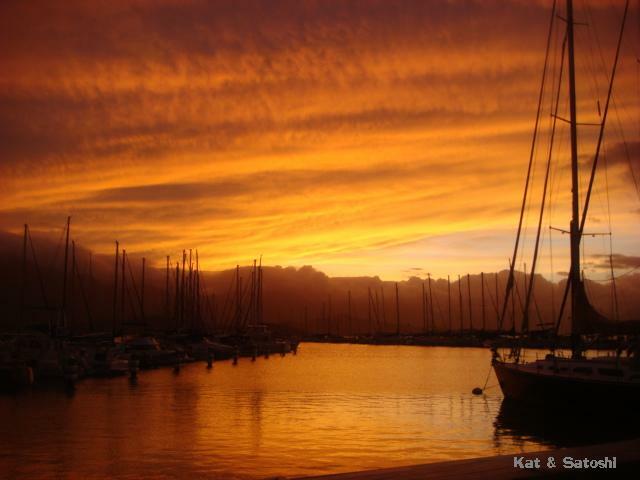 Sitting on the edge of Kaneohe Bay is the yacht club, it was my first time here and it is a beautiful place. 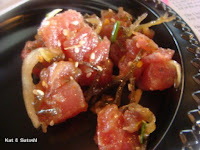 For pupus (appetizers) we had poke (po-kay) tuna seasoned with ogo (a type of seaweed), onions, shoyu, sesame oil and chili...delish. And then there was the buffet line...so many things to eat, not enough space on the plate! You should have seen the roast beef that they were carving from...HUGE! And rounding out the event, a beautiful sunset...Congratulations A! You know what I love about Hawaii, you can get so much done in the morning because everything opens early! In Japan, you'd at least have to wait until 10-ish, and by the time you get your errands done, almost half the day is gone. Anyway, lunch on Friday was from Chun Wah Kam. It is one of the only places we eat dim sum from in our area. 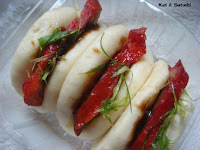 I think I like the char siu version a little better. Over all good food, though like I said, some of the quality is going down. 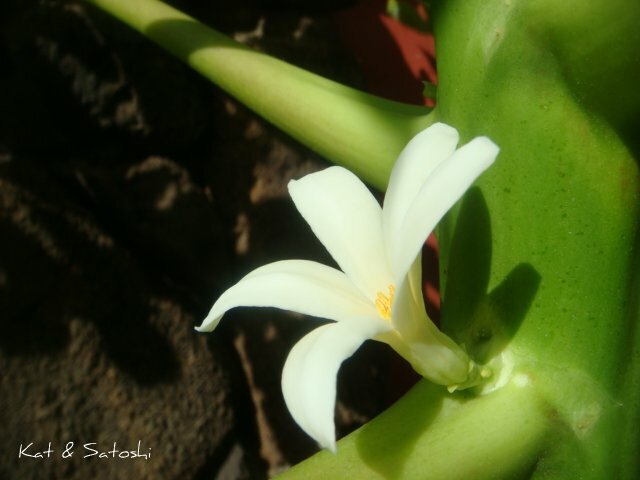 Well, I'm happy to say that we have some papaya blossoms...hope to see some papaya on there before I leave. 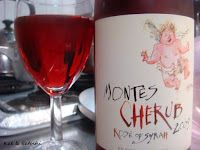 I am kinda liking kinda disliking this wine by Montes...I forget what magazine I read about it in, but it was supposedly perfect for summer. It was kinda too dry for my liking. I'm liking Tully's tapioca coconut latte...black tapioca, lightly sweetened coconut milk and coffee...so perfect on a humid day. 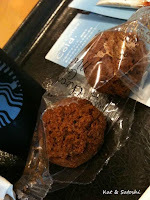 Their soy & wheat waffle cookies were crumbly a bit stale even...boo! I actually had this drink another time sans the cookies...yum! 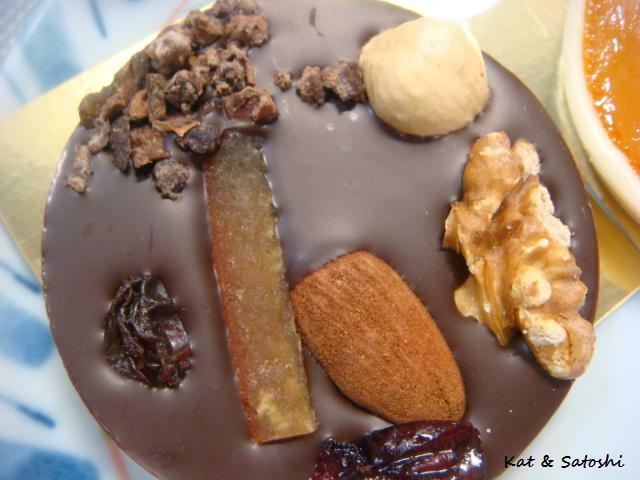 Bel Amer's mendiants...dark chocolate with all sorts of goodies on top....mmm! A friend gave me this dark one and a white one. I gave the white one (which had a candied orange slice on top) to Satoshi....thank you! I used the last summer roll wrappers to make lunch...ham, cheese, lettuce and some red roasted bell pepper cream cheese spread...so easy and so good! Tea time at Kitahama Retro...I recently tried their scones with Tamakikat. 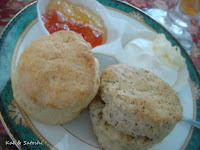 The ginger scone was better than the earl grey scone but both were good with the creamed butter. 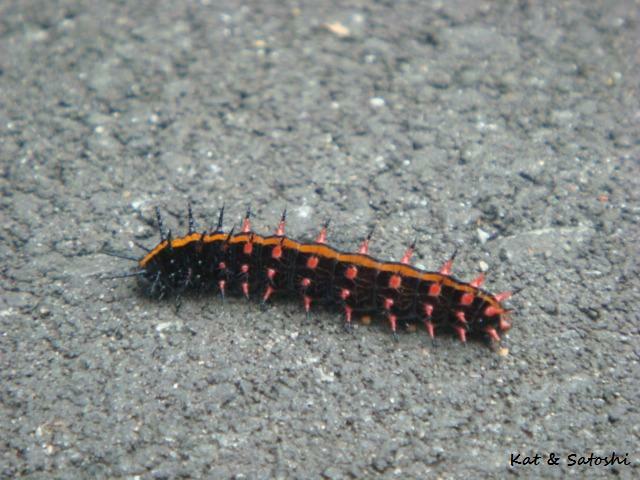 Disliking this kemushi (literally hairy bug), it is the caterpillar of an Indian Fritillary. 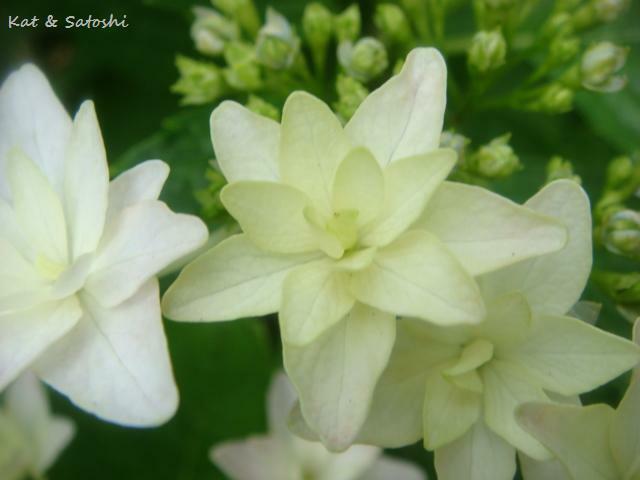 In Japan, you see a lot of these during Spring and beginning of Summer. Don't touch them though, they apparently have quills that make you itch and swell. 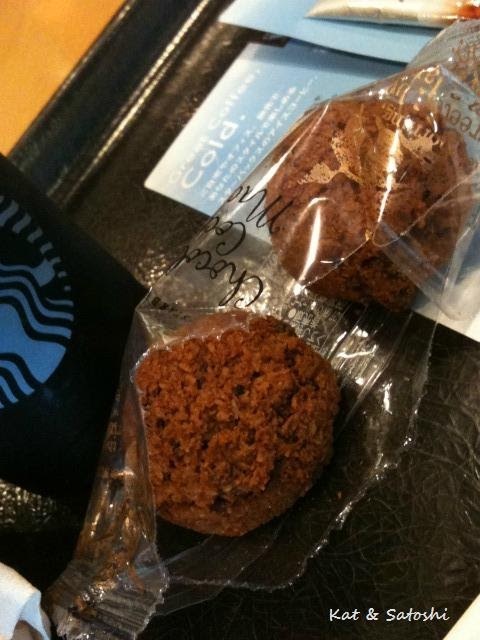 The chocolate coconut macaron at Starbucks is deliciously coconutty. 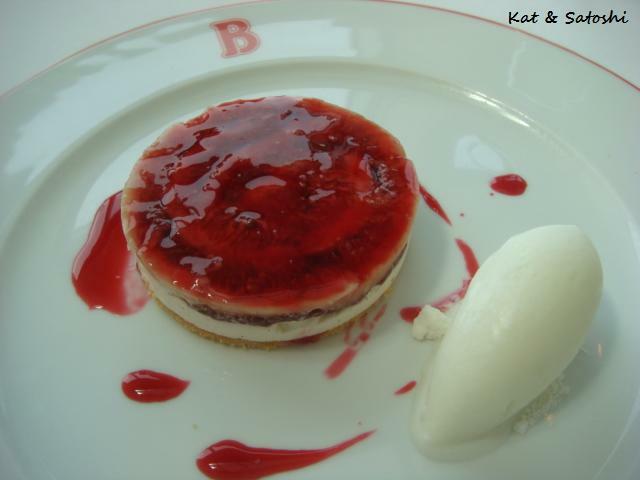 I probably would call it a macaroon more than a macaron though. I think they should have added a wee bit more chocolate too. Caught a glimpse of this Mini wagon in our neighborhood, luckily my finger didn't ruin the whole shot. I recently tried this...Gari-gari kun..."gari-gari" is the onomatopoetic sound when you eat one of these ice bars...this was perfect on a humid night. Oh and afterwards, check the stick, if something is written on it, chances are you've won something...unfortunately I didn't with this bar. 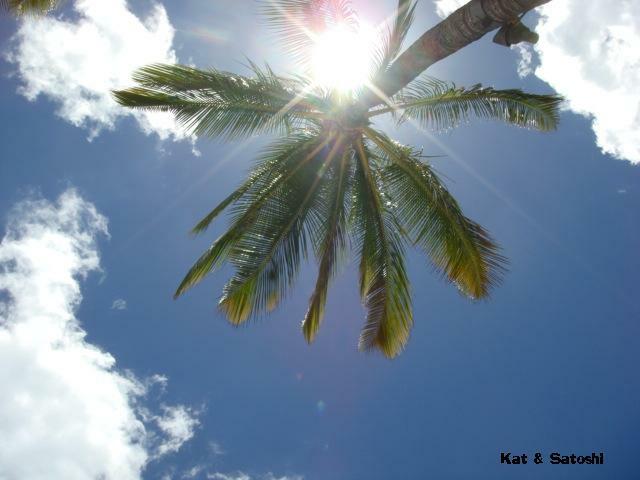 I'm off to Hawaii today looking forward to spending time with my parents, grandma, friends and family...talk to you from the other side of the world! Yesterday was the last day of my french class for the Spring session. 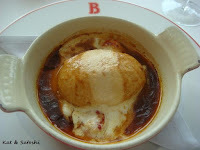 7 of us including our teacher went to Le Comptoir de Benoit for lunch, a restaurant by Alain Ducasse. Located on the 33rd floor of the Breeze Breeze building it gives you a breathtaking view of the city...after all that rain over the past couple of days, it was nice that the weather cleared up, so we could actually see the city. Lunch started at 12:30 and didn't finish until 3-ish...leisurely for sure, lots of talk, eating and drinking. 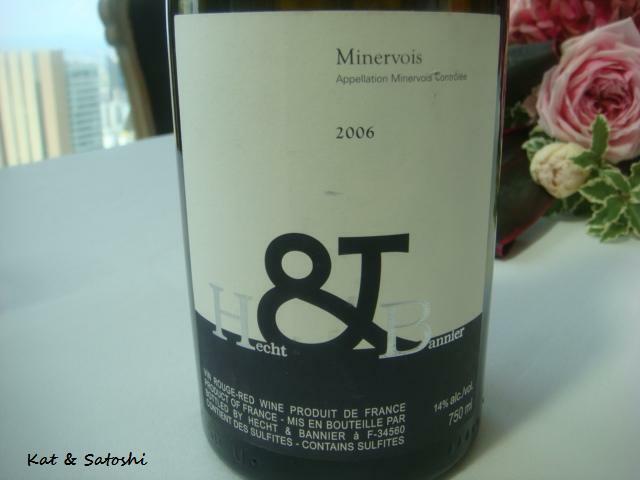 Besides champagne, we also shared this 2006 Hecht & Bannier Minervois, a really delicious red. 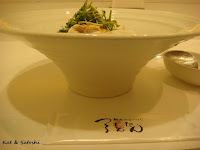 For my starter (which is called entrée), I chose the Potage cultivateur aux légumes du Kansai (vegetable soup made from various Kansai organic vegetables)...chock full of veggies, I was surprised that the soup wasn't smooth, it was very flavorful and delicious. For my main (which is called plat), I chose the Quenelles à la lyonnaise aux écrevisses (this was a fishcake cooked in a crawfish broth...very rich and airy, though the texture reminded me of firm tofu). I recently had learned about this dish from a Flickr friend, so I wanted to try this when I saw it on the menu...I enjoyed this. This wasn't too sweet and a nice way to end the meal (I also had a cappuccino). 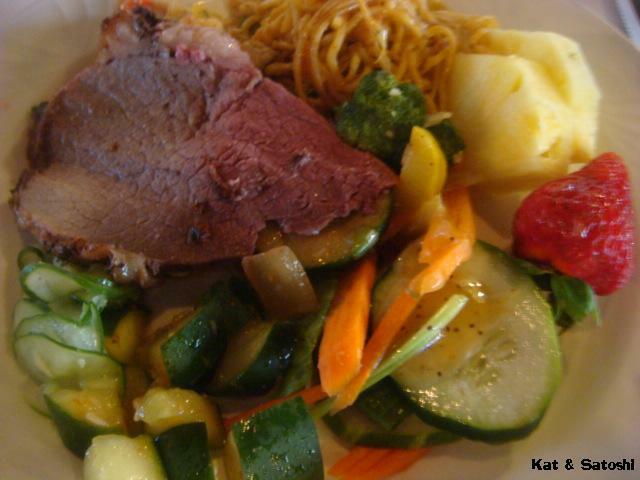 The portions were quite large and we all enjoyed our dishes, there was lots of talk so I think we all had a nice time. 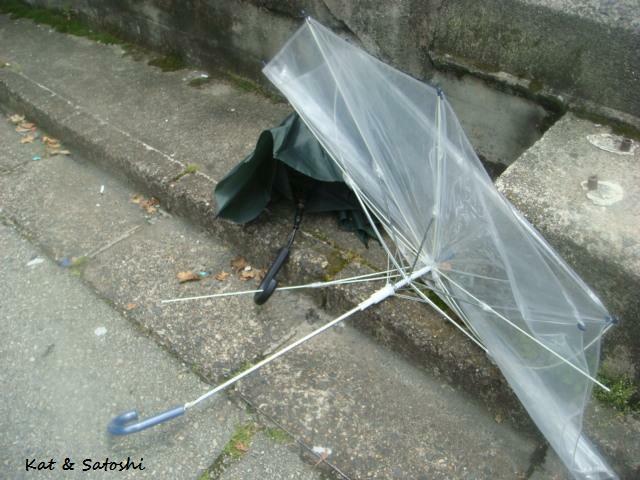 One day I'll have to bring Satoshi here, maybe for a special occasion. About this time every year I get a postcard in the mail from Mariage Frères. The card is sent out to announce their line of summer teas. Apparently, this year their new summer tea is called Babylonia, a green tea with red fruit, citrus and cornflower. 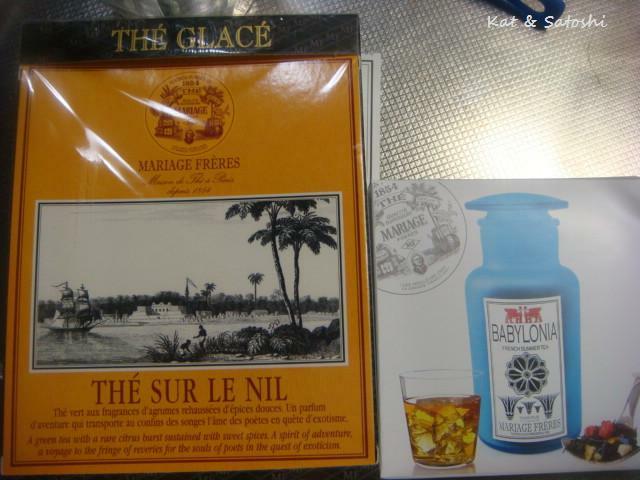 You need to buy something in order to receive the new summer tea, so I purchased another summer tea called Thé sur le nil. This is also green tea based with some citrus too. To make iced tea, I usually do a cold water brewing method, just add some tea to some water and leave overnight in the fridge to steep (about 1 scoop of tea for 1 cup of water). 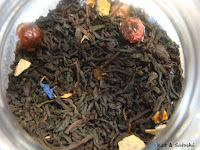 Then the next day, I just filter out the used tea and drink straight away...so good. Over the past couple of days, the weather has been very rainy so I haven't been craving too many iced drinks, though the humidity is supposed to kick in over the next couple of days so these iced teas will be perfect. Have you ever seen fireflies? My first experience was back in 2006 when we went to Oita in Kyushu. The area where we live, Minoo, is supposed to have lots of fireflies especially near the streams of the Quasi-National park, but we've never seen them. The other week, while I was walking, I saw a couple of them in our neighborhood but that was during the day. 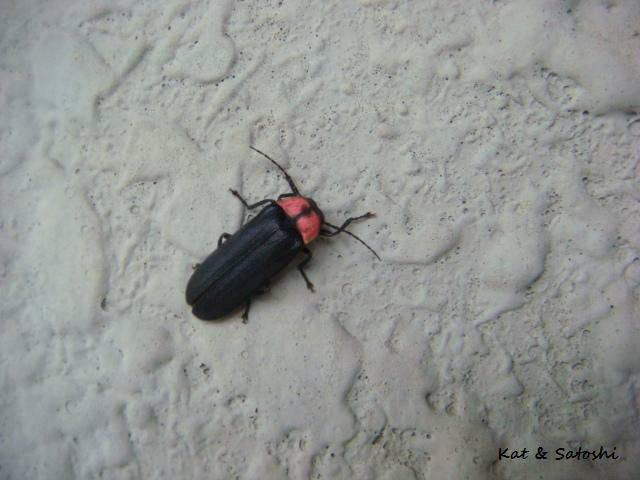 Then yesterday, I saw one on our apartment complex wall. 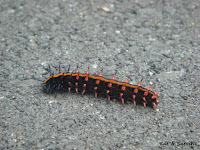 This particular type is called "genjibotaru", it was quite large. Too bad they don't glow in the daylight, that would've been something to see and show you. The other night Satoshi had a gathering with his university baseball alumni...you should already read "trouble" because whenever these guys get together all they ever do is act crazy and drink. He finally came home at 2:30 and it was horrible...the smell of you know what...ugh, I almost lost things myself with that smell. It turned out it wasn't only the stench of one thing but of other things too...eep! The place still smells really bad, there is not enough Febreeze to take the smell out, I think it is permanently ingraved in my nose too...blah! Although he did clean up most of his mess, there were things which he wasn't observant enough to tell that "stuff" was on...so I ended up cleaning those things...sigh. I want to end this post on a good note and tell you about my dinner that night. 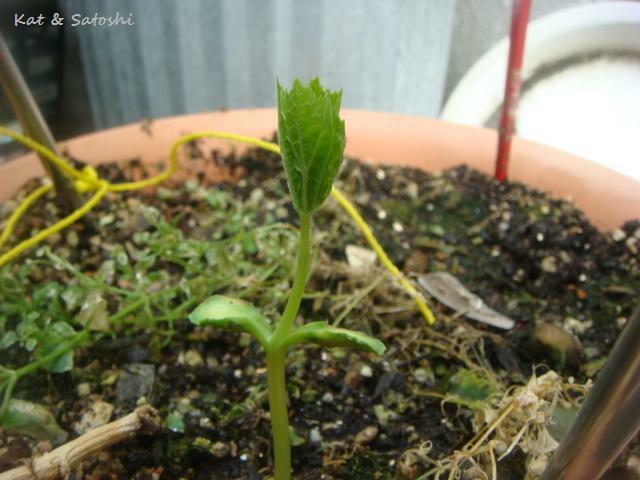 I had a really junky apple, it was chalky not even sweet...I should have known better, apple season is in Autumn, but anyway since we had eaten half, I wanted to use the remaining half somehow. I usually don't cook whenever Satoshi is eating (drinking) out, but this time I made a batch of bulgogi. 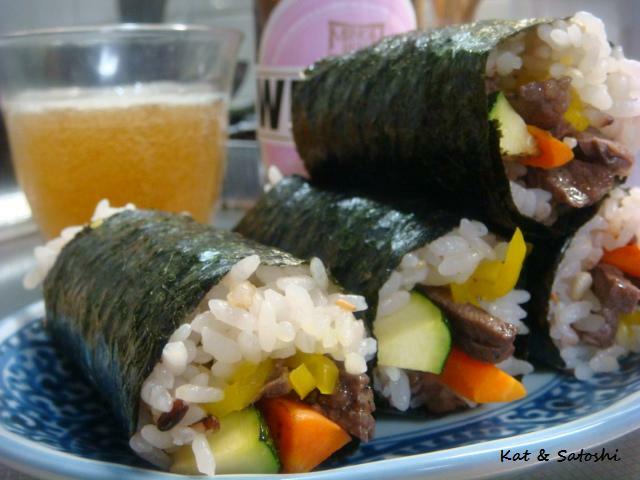 Since there was some takuan, leftover zucchini, carrots in the refridge, I thought it would be perfect to make some kimbap (Korean style sushi). While I marinated the bulgogi, I cooked the zucchini and carrots in a lightly oiled pan. Then I cooked the bulgogi. For the rice (which was leftovers), I sprinkled some sesame seeds and worked it through. 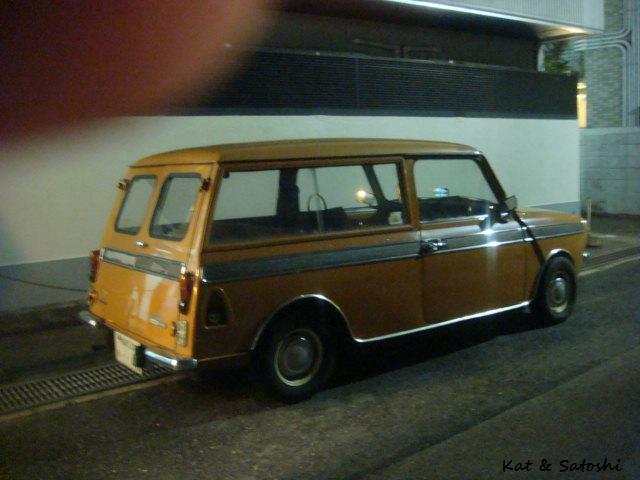 My nori is only about 2 inches wide and really long, maybe 6 or 8 inches?! 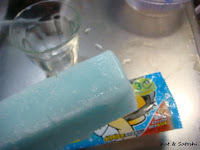 It is perfect for musubi but not for making sushi with. After spreading some rice onto the nori with slightly wet hands, I added a slice of zucchini and a slice of carrot, then topped with some sliced bulgogi and takuan...rolled it up and repeated the process until all my leftover rice was used up (which turned out to be 4 rolls). 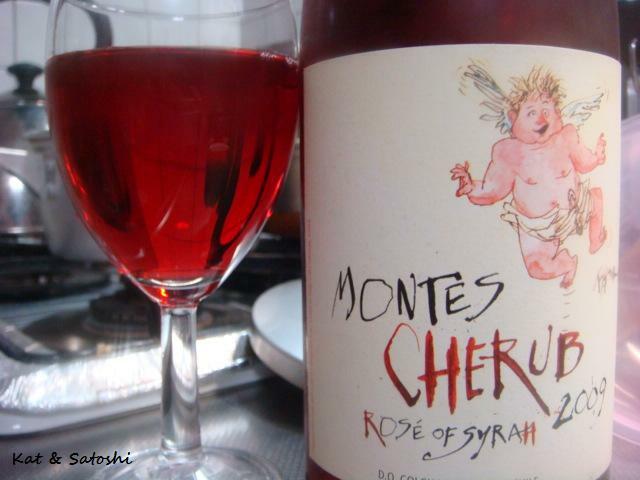 I had this with Minoh Brewery's Weizen...yum! Oh and Happy Father's Day, we're off visiting MIL! 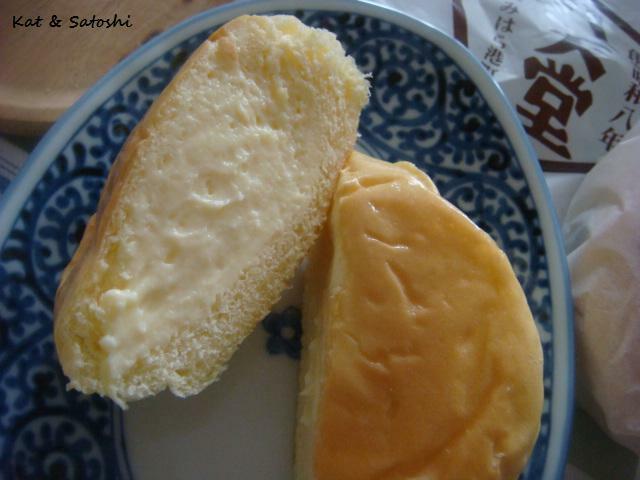 The first h is for Hattendo...a sweet shop that has been making these "cream pan" (cream filled bread) since 1933 in Hiroshima. The bread is so soft it reminded me of a butter roll or the outside of a baked manapua (char siu bao). And each is filled very generously with different creams...custard, ogura (azuki), matcha (green tea), chocolate, nama cream (whipped cream). We recently spotted their kiosk in the JR Osaka station and tried the custard & ogura, 200 yen (about US$2) each. Right out of the refrig, ice cold...so good! 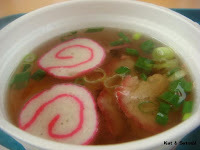 The second h is for Hanamichi ramen. 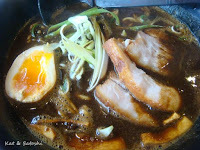 A ramen shop in our neighborhood recently started serving...black curry ramen. 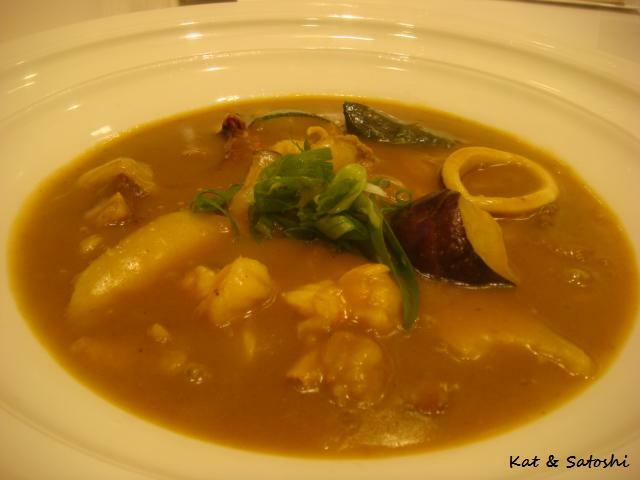 The curry is sweet then turns addictingly spicy...my nose ran because it was so spicy! The soup has different mushrooms and...chutney! You'll find raisins here and there. 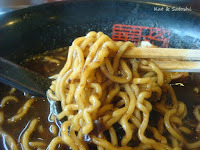 Definitely hit the spot on the rainy day we had...830 yen (about US$8.30). It is only being served for a limited time, so I'm glad we got to try it. 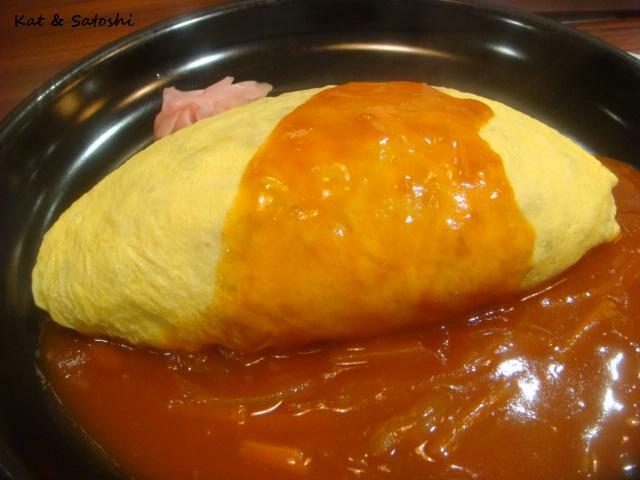 In Osaka, it means a place to get delicious omurice. 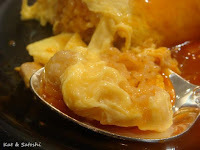 Omurice is a fried rice enveloped in a fluffy omlette. (omu meaning omlette and rice meaning the fried rice). The fried rice is usually flavored with ketchup and has some chicken in it. Some places call it chicken rice or ketchup rice. After the fried rice is enveloped in the fluffy omlette, it is usually topped with some ketchup. Most places put way too much ketchup, but Hokkyokusei stands above the rest. For one thing, they make their own ketchup from scratch. A tomato sauce with slices of carrots, celery flavored with a little worchestershire sauce, maybe even mixing in some demi-glace sauce. Their fried rice isn't seasoned with ketchup, it is a traditional tasting fried rice. I ordered the chicken omurice and Satoshi the kinoko (mushroom) omurice...both 690 yen each (about US$6.90). The omlette is thin and still fluffy...a good balance. Some places have more egg than rice. The food comes out rather quickly too, so their turnover is quite swift. You may feel pressured to eat quickly because the line for seats is right behind the counter, and you will feel the eyes...but just take your time and savor your food. It was our first time eating here, but I can see why their omurice has been popular for over 80 years...it's that good, we'll be back! I don't know about you, but I am always using gadgets in different ways. For example, my tomato knife which has a "hook" at the end is my cherry pitter. 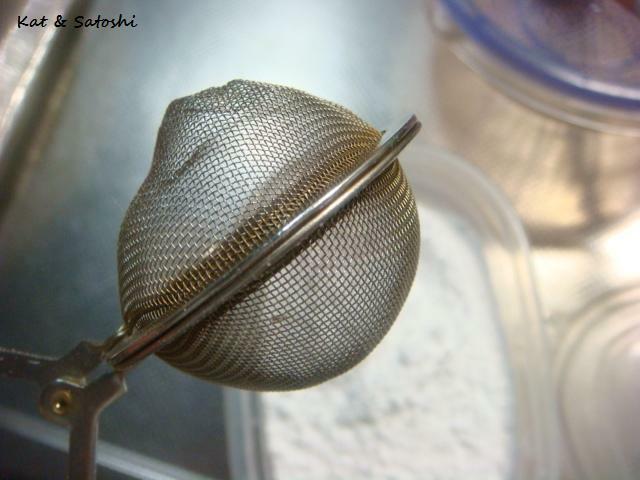 Another is a tea strainer that was supposed to fit into my tea pot, didn't, so I use it whenever I wash rice or need to sprinkle or sift a small amount of dry ingredients. The other day I made some dark chocolate and cherry clafoutis and was looking around for this previously mentioned tea strainer to sprinkle some powdered sugar. I spotted my tea strainer for one and loaded some powdered sugar into it. 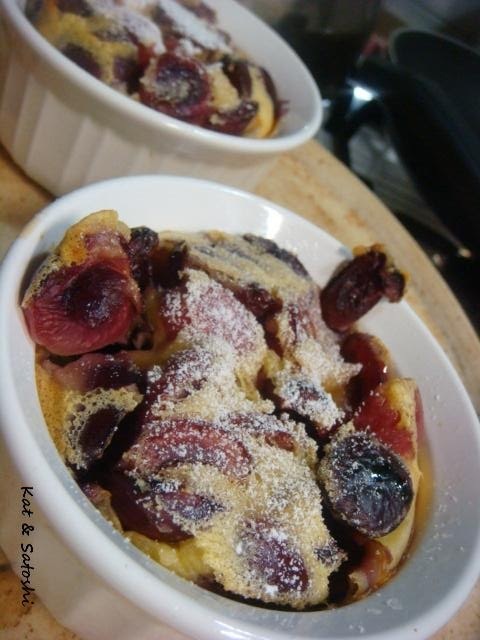 Shook it over the clafoutis...job well done. Do you have multi-use gadgets in your kitchen too? A couple of weeks ago we tried Zanmaiya. In fact, it is an okonomiyaki and noodle shop, so it has a kind of rustic feel to it. After ordering, the food takes awhile to come out because okonomiyaki does take some time to cook. I enjoyed killing time watching the kitchen especially their amazing gadget, a machine that take care of the noodles. They throw in a bundle of noodles and the basket, lowers itself into the boiling water, then when it is time, the basket comes back up. The cook grabs the black handle then shakes out the excess water...neat, yeah? 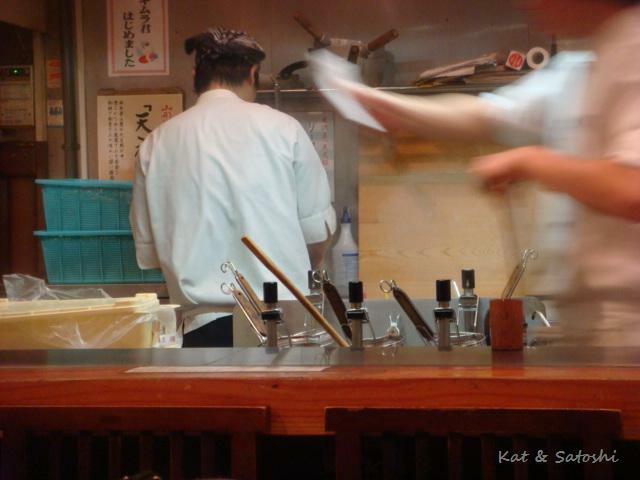 Oh and the guy in the background is chopping green onions...those blue baskets are filled to the brim with them! 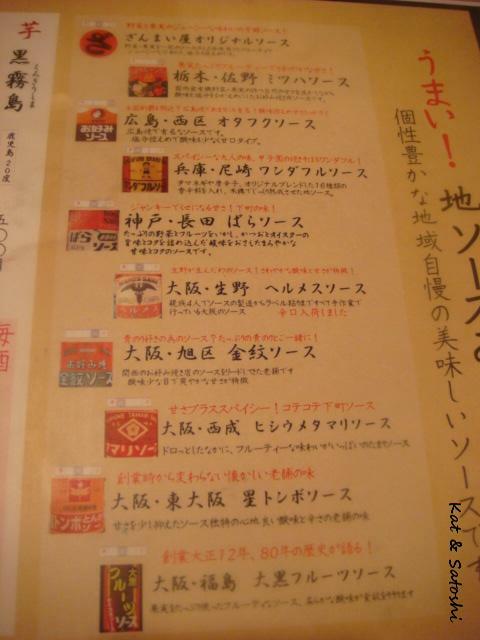 They have many different okonomiyaki sauces mainly from around Osaka and the Kansai area, but they also have some from other areas of Japan too. I never realized there were so many brands! 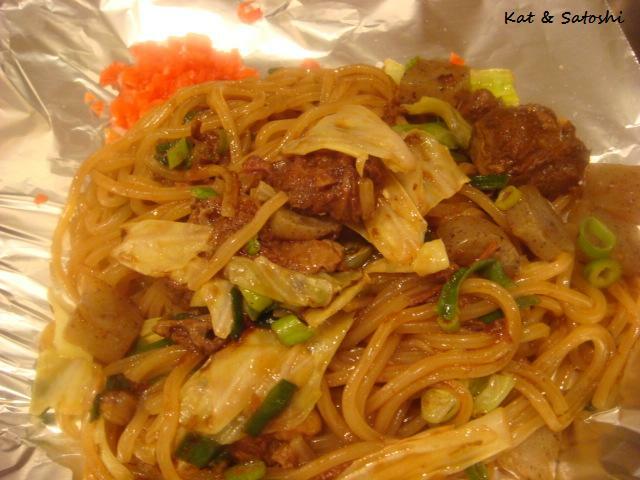 We ordered the gyu-suji (beef muscle) yakisoba. Gyu-suji is simmered for many hours until it is tender...this was melt in your mouth tender. We also ordered the Kimura-kun okonomiyaki. 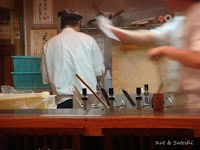 Kimura is a play on someone's name and the ingredients used in the okonomiyaki. 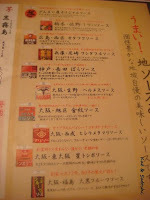 Kimu is for kim chee, ra is for ra-yu (chili oil) and kun is the informal for mister. This okonomiyaki was topped with kim chee, ra-yu and some veggies (okra & tomatoes). I was hoping to try the different sauces they had but this particular okonomiyaki had its own sauce. 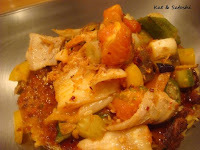 I loved the spicy mixed with the fresh veggies and the sweetness of the sauce. Other than having to wait awhile for the food, we loved this place...we'll be back. A tiny ladybug...spotted on a mint leaf. 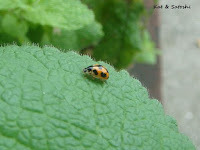 Don't see many ladybugs around here, so was excited to see one. 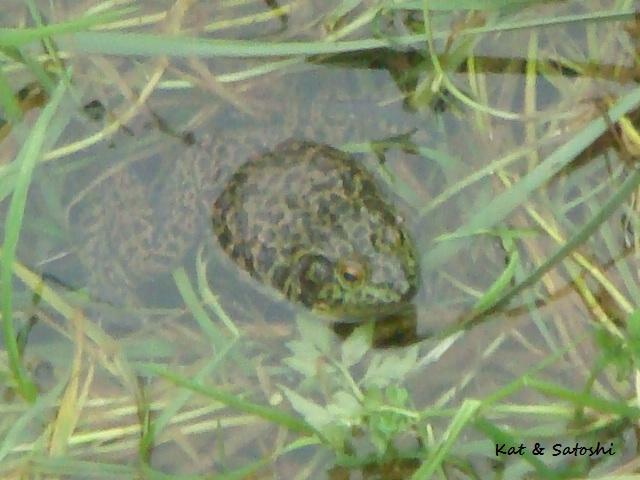 Huge bullfrog, this guy was croaking really loudly. When he spotted us on the bridge from down below he stopped. 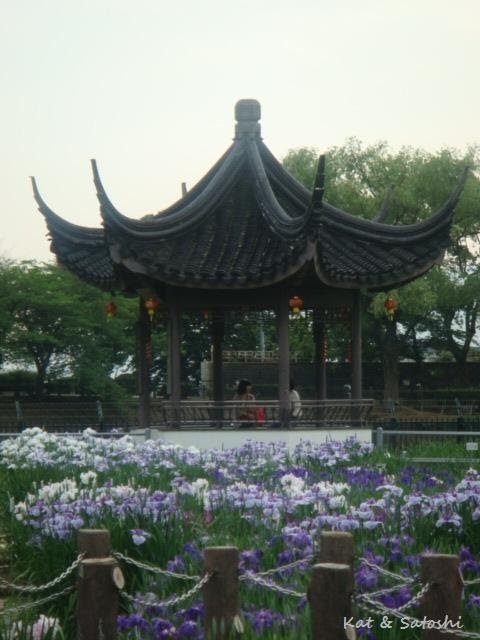 The shobu (iris) are in bloom now at Suigetsu Park. 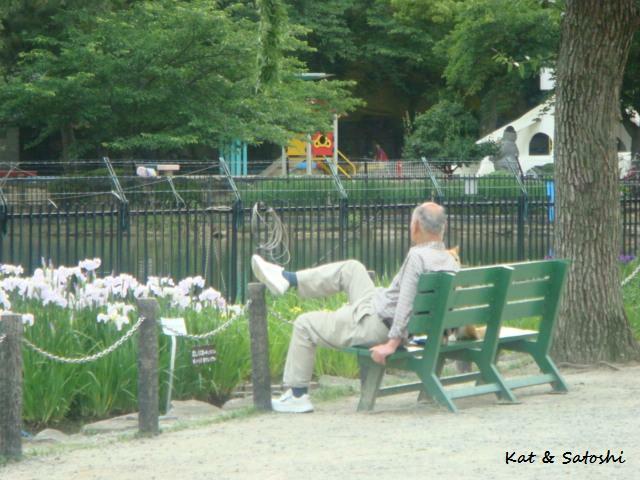 We love this park, so relaxing. 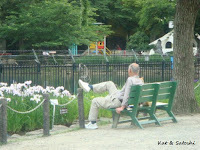 Caught this guy relaxing with his dog. (I actually only noticed the dog after while looking through the photos). 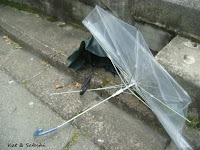 You see many "dead umbrellas" after a storm, especially if it is windy. Also in bloom are the ajisai or hydrangea. 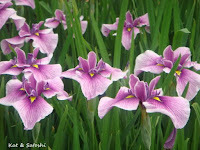 There are different varieties and you can see them in yards and in many parks. An upclose shot of the shobu (iris) at Suigetsu Park. Oh, and the other day on the way to the market, there was a 2 foot snake in the stream next to our apartment...eep! A man in our neighborhood was sweeping and picking up rubbish when he spotted it. I saw him looking at something in the stream and went over to check it out...and saw the thing "swimming"...yikes! And I spotted this goya plant peeking out yesterday morning on the lanai...crossing fingers for some bigger goya this year. I've already told you that Daimaru Umeda did a total renovation of their department store, bringing in new vendors, shops, cafes. One area that was totally renovated was their basement or the food hall...B2 to be exact. Previously, they had groceries and some eating areas here but what they've recently brought in is a huge udon shop...Tsurutontan Top Chefs. Don't you just love the name? I love saying "tsurutontan". I don't think it has any relation to the popular television show ("Top Chef") in the States, but Tsurutontan is a Japanese udon chain. The whole shop is white, giving it a chic look to it and everyone sits at a counter-type seat. 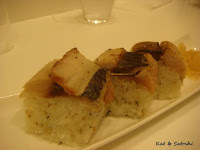 Satoshi started with some aburi sabazushi (browned mackerel sushi)...350 yen (about US$3.50). He really enjoyed this, he said the flavor was nice and smoky. The udon is served in these HUGE white bowls. The food looks like a lot and it is. This was served cold and was very refreshing. Lots of vegetables and the pork very tender. Usually whenever you eat reishabu, there are two ways to eat it, with a goma dressing or with some ponzu and grated daikon, though this dish didn't serve grated daikon, it did give the two types of dressings. Satoshi ordered the seafood curry udon...1180 yen (about US$11.80). This was served hot and there was lots of seafood in there. 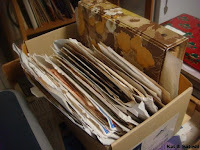 If you click on the photo, you may be able to pick out a whole tako leg leg in there (the dark colored item, huge!). He also ordered 1.5 serving of noodles which didn't add anything to the cost of his dish. We really liked this shop. It isn't traditional udon, but their food is tasty. There are other items on their menu that we'd like to try here...we'll definitely be back.